With a membership bundle, the fee is paid as a group fee, and renewal is processed for the entire group. Each bundle is administered by a bundle administrator, and individual members within the bundle have their own separate profiles (and can log in and receive emails separately). For more information on setting up a membership bundles, see Membership bundles. For instructions on setting up a membership record for an organization, see below. 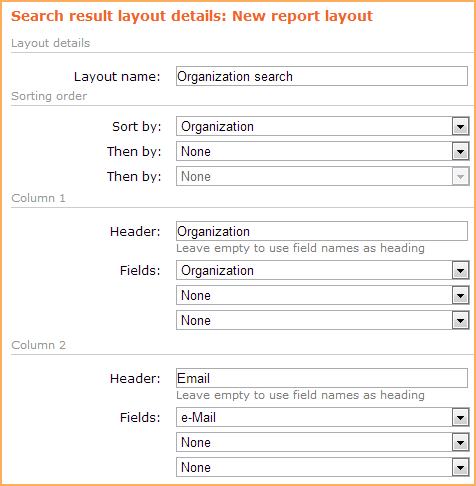 Create a custom search layout to display Organization and Email columns, and sort by Organization. 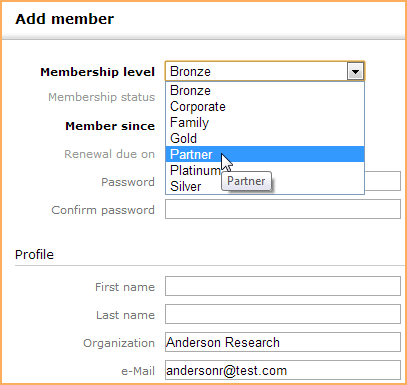 Perform an advanced member search for records where the Organization field is not empty but the First name field is empty. 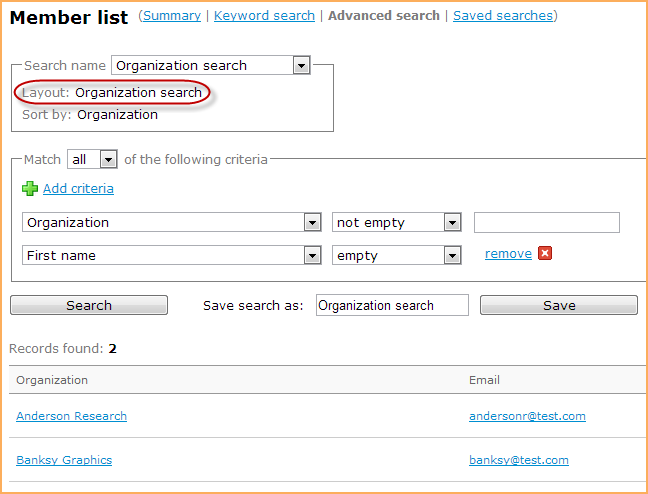 Go to the Saved searches tab and select the custom search layout you created for organizations. 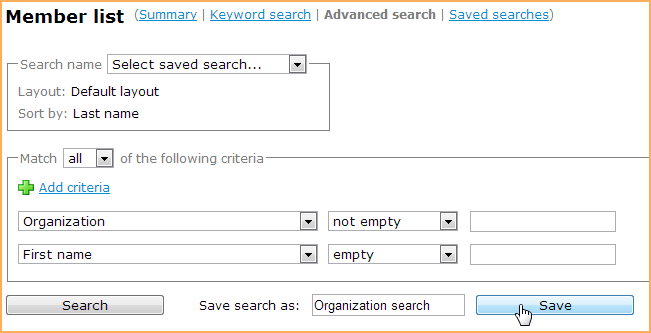 Click the Run button for the saved search you created for organizations. You should now see a list of the organization members you added to your contact database.